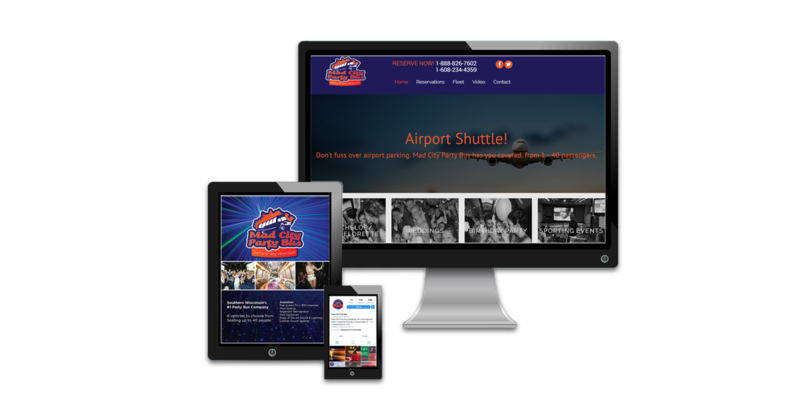 We worked with Mad City Party Bus in 2016 on its website and a number of branded assets that won the American Advertising Award for the Branded Assets Campaign for the logo, postcard, business card and trade-show display that we developed. We also managed their social media accounts in 2017 helping them secure a greater presence in the Madison market. We also started their Instagram presence from scratch and grew it to several hundred followers within weeks. …Strategic Partners was able to finally provide the help and support I needed to take my business to the next level. Amber is an outgoing, energetic and dedicated professional who helped generate more business. She created a budget that was very affordable which allowed me to concentrate on growing my business. It is a necessity to survive in the ever-changing social media world. Strategic Partners Marketing is an out of the park Home Run! !